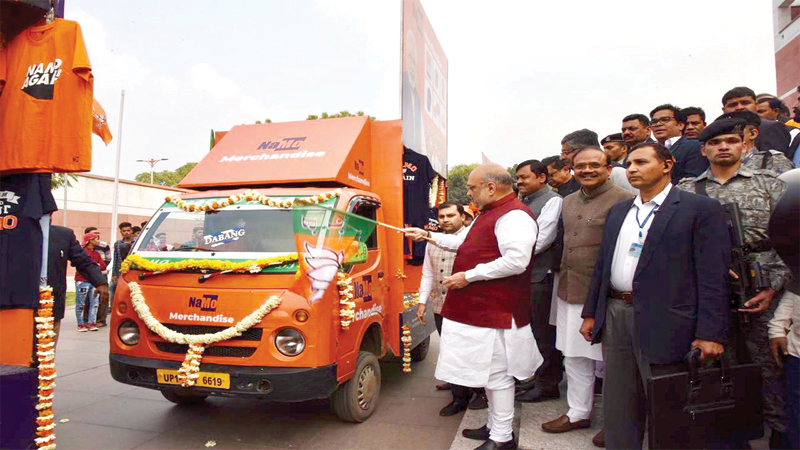 Ahead of the General Elections, BJP National President Shri Amit Shah on 04 March, 2019 flagged off a ‘NaMo Rath’, which is a store on wheels selling merchandise inspired by Prime Minister Shri Narendra Modi. The saffron-coloured fleet of mini-trucks with huge photos of PM Shri Narendra Modi will tour the nation selling NaMo t-shirts, coffee mugs, caps, face masks, key chains and other merchandise. 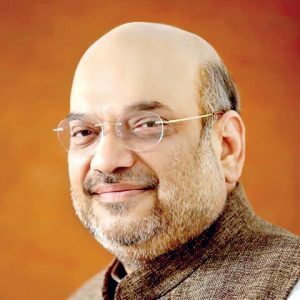 Calling it a “unique nationwide initiative”, Shri Amit Shah said the money collected from the exercise will be donated to the ‘Namami Ganga’ project aimed at cleaning the river. “This is a unique nationwide initiative, which will allow people to buy latest NaMo merchandise on wheels,” Shri Shah said after the flag-off at the BJP headquarters in New Delhi. In a tweet the BJP National President said. Flagged off NaMo Rath from BJP HQ, New Delhi. This is a unique nationwide initiative, which will allow people to buy latest NaMo merchandise on wheels. The money collected from this will be donated to the Namami Gange Project to further clean our holy Ganga.